Here are some vintage footage in HQ of Allan Wells, Pietro Mennea, and Valery Borzov past his prime. You get a chance to see both semi final races and the finals at the 1978 European Outdoor Championships in Prague, Czech Republic.. The footage is amazingly clear so you get a good view of technique. Take a look at the physiques of these men. They look skinny compared to today. And this was only 33 years ago since 1978. 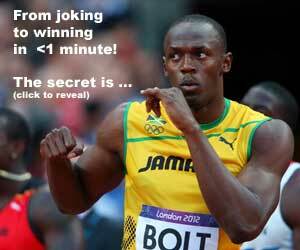 Granted, the winning time was 10.26 and not 9.58 or even 9.76. This simply shows the technical advancements in spikes, harder track surfaces, training methods, recovery modalities, and nutrition over the past 30 years. But one item that may be overrated is starting blocks. Even without blocks, Allan Wells gets a great start in both Semi-finals and Finals. In fact, take a look at his foot placements and leg angles, and you can see the similarities of Asafa Powell in a time trial with no starting blocks, or even Adarian Barr’s Cheetah Start. Older Masters athletes and Youth athletes should not use conventional starting blocks. I covered that topic here. So the next time they won’t let you use starting blocks on an brand new track or indoor 400 meters like Dartmouth College, think of Allan Wells! Maybe it was all his speedbag workouts? Of course, the eventual winner at the 1978 European Championships was Pietro Mennea, who is an icon here in Italy! The average Italian citizen may not know who Usain Bolt is, but they all know Pietro Mennea, and to some extent, Livio Berruti. Great video! Mennea was a natural talent. Mennea is still a natural talent, in politics nowadays too.